* Plotted type locality of all species and major site of additional study in some groups. * 3 systematic trees drawn based on Myers (1988a). * Undescribed parts in former studies colored gray. data from: J.L.Barnard (1972), Haswell (1879). data from: Alonso de Pina (1992), Ariyama (2004), J.L. Barnard (1967, 1970, 1979), K.H. Barnard (1955), Chapman (2007), Cchevreux (1911), Krapp-Schickel & Myers (2006), Ledoyer (1967), Mateus & Mateus (1966), Moore (1988), Myers (1975a,b, 1977a,c, 1978, 1979, 1981b, 1985, 1988b, 1998b, 2002, 2004, 2005, 2009), Ortiz & Lalana (1997, 2002), Ortiz, Lalana & López (1992), Ortiz & Lemaitre (1997), Ortiz & Nazábal (1984), Reid (1951), Ren (2006), Schellenberg (1938), Shoemaker (1925), Sivaprakasam (1970), Stebbing (1888), Walker (1909). 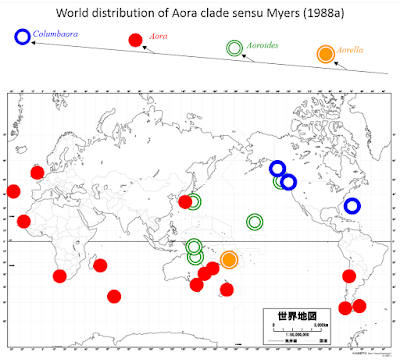 data from: J.L.Barnard (1961), Coleman & Lörtz (2010), Myers (1998a), Stebbing (1888, 1908). data from: Ariyama (1996, 2013), Ariyama & Taru (2017), Bano & Kazmi (2010), J.L. Barnard (1970, 1977), K.H.Barnard (1935, 1951), Bochert & Zettler (2010), Chapman & Dorman (1975), Dang (1968), Grifiths (1974b), Hou & Li (2002), Jurde et al. (2013), Ledoyer (1979b, 1982), Moore (1986), Morino & Dai (1990), Myers (1981a, 1998b, 2004, 2009), Ren (2006), Schellenberg (1925, 1936, 1938), Shoemaker (1935), Stephensen (1948), Wongkamhaeng, Coleman & Pholpunthin (2013), Wongkamhaeng, Pholpunthin & Azman (2012). data from: Alonso de Pina (1992), K.H. Barnard (1916, 1955), Ledoyer (1979a), Lyons & Myers (1990), Myers (1977a), Spence Bate (1857), Stebbing (1895), Walker (1904). 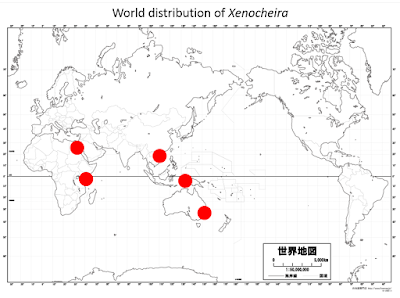 data from: Haswel (1879), Moore (1988), Ren (2006), Walker (1909). - Alonso de Pina, G.M. 1992. 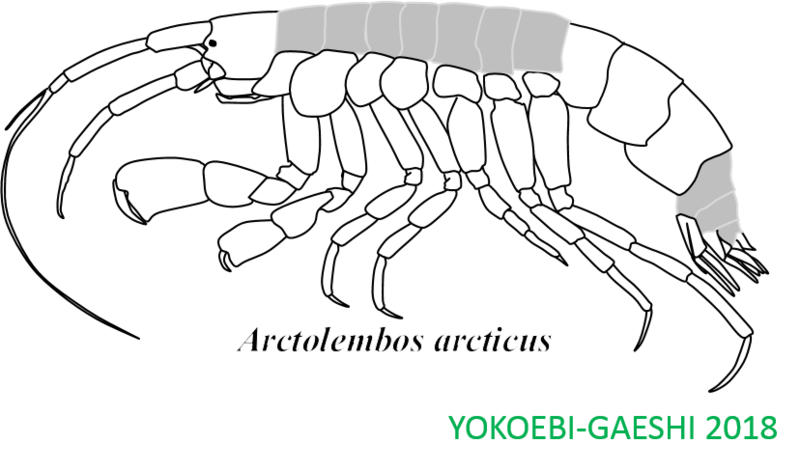 Lembos fuegiensis (Dana, 1852) and Lembos argentinensis new species, two aorids (Amphipoda) from the South-West Atlantic, Argentina. Crustaceana, 62(1): 39-49. - Ariyama, H. 2002. Paragrandidierella minima, a New Genus and Species of Aoridae (Crustacea: Amphipoda) from Osaka Bay, Central Japan. Species Diversity, 7: 155-163. - Ariyama, H. 2004a. 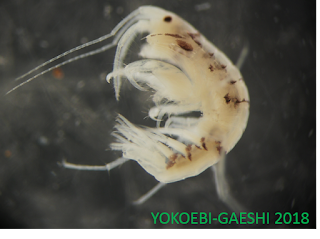 Two new species of the family Aoridae (Crustacea: Amphipoda) from the coasts of Wakayama and Osaka Prefectures, central Japan, with description of a new genus. Natural History Bulletin of Ibaraki University, 7: 1-16. - Ariyama, H. 2004b. Nine Species of the Genus Aoroides (Crustacea: Amphipoda: Aoridae) from Osaka Bay, Central Japan. 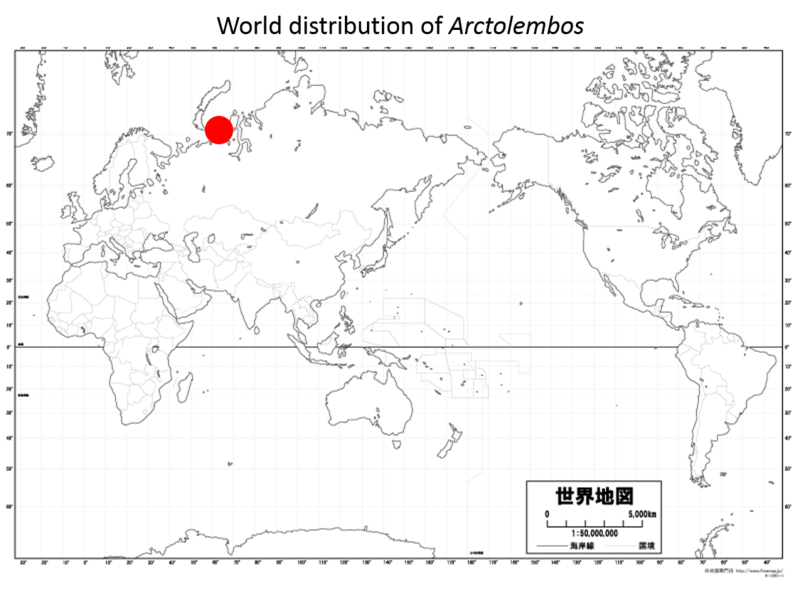 Publications of the Seto Marine Biological Laboratory, 40: 1-66. - Ariyama, H. 2007. Taxonomic studies on the family Aoridae (Crustacea:Amphipoda) from the coasts of Osaka Bay and Wakayama Prefecture, central Japan. 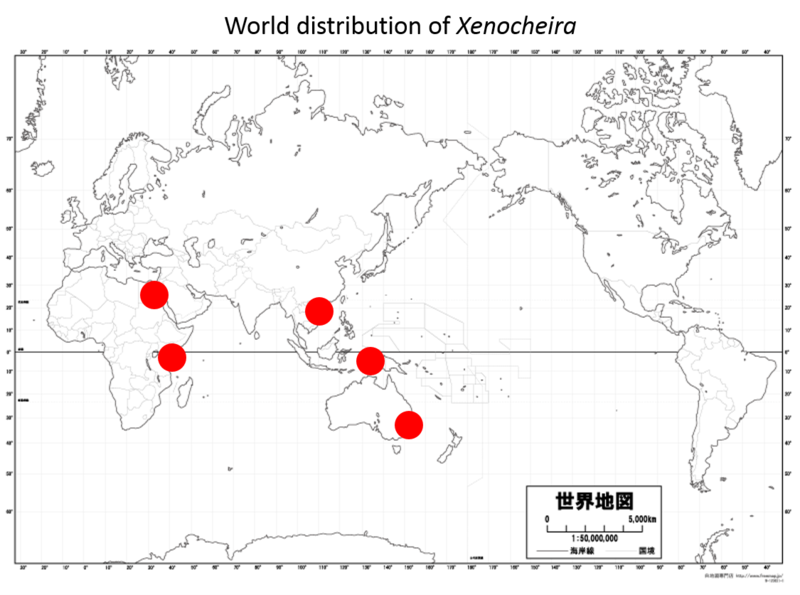 Thesis: Kyoto University. - Ariyama, H. 2013. 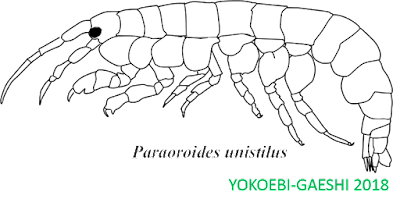 Reinstatement of Paragrandidierella (Crustacea: Amphipoda: Aoridae) from Japan, with the Description of a New Species. Species Diversity, 18: 223–235. - Ariyama, H., M. Taru 2017. 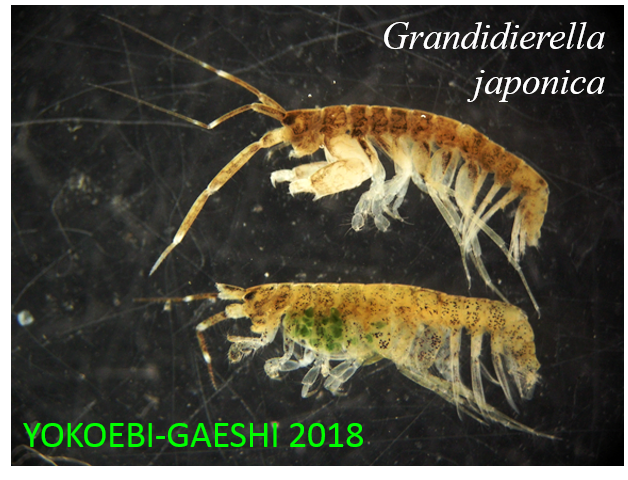 Three Species of Grandidierella (Crustacea: Amphipoda: Aoridae) from Coastal Areas of the Tohoku and Kanto-Tokai Districts, East Japan, with the Description of Two New Species. Species Diversity, 22(2): 187-200. - Azman, B.A.R., B.H.R. Othman 2012. Two New Species of Amphipods of the Superfamily Aoroidea (Crustacea: Corophiidea) from the Strait of Malacca, Malaysia, with a Description of a New Genus. Zoological Studies, 51(2): 232-247. - Bano, H., Q.B. Kazmi 2010. Grandidierella trispinosa, a new species of amphipod from the Karachi coast, Pakistan (Crustacea: Amphipoda: Aoridae). Turkish Journal of Zoology, 34 :151-157. - Barnard, J.L. 1961. 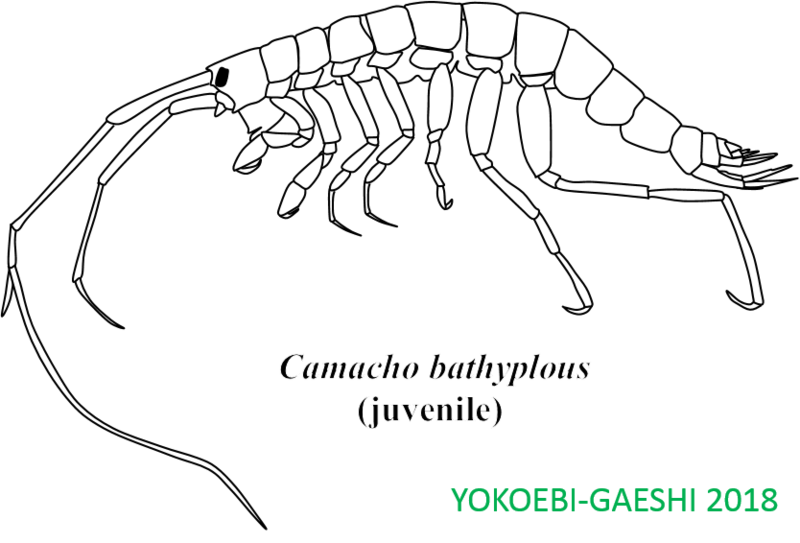 Gammaridean Amphipoda from depths of 400 to 6000 meters. Galathea Report, 5: 23–128. - Barnard, J.L. 1967. Bathyal and Abyssal Gammaridean Amphipoda of Cedros Trench, Baja California. U.S. National Museum Bulletin, 260: 1-205. - Barnard, J.L. 1970. Sublittoral Gammaridea (Amphipoda) of the Hawaiian Islands. Smithsonian Contributions to Zoology, 13: 1-286, 180 figs. - Barnard, J.L. 1977. The Cavernicolous Fauna of Hawaiian Lava Tubes. Amphipoda (Crustacea) from brackish lava ponds on Hawaii and Maui. Pacific Insects, 17 (2-3): 267-299. - Barnard, J.L. 1979. Littoral Gammaridean Amphipoda from the Gulf of California and the Galapagos Islands. Smithsonian contributions to Zoology, 271: vi+ 149 pp, 74 figs. - Barnard, J.L., G.S. Karaman 1991. 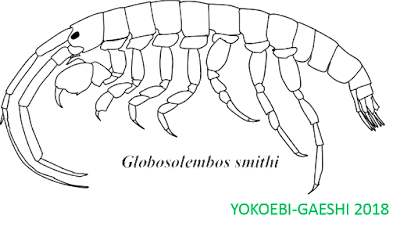 The Families and Genera of Marine Gammaridean Amphipoda (Except Marine Gammaroids), Records of Australian Museum supplment 13, part 1,2, 866p. - Barnard, K.H. 1935. Report on some Amphipoda, Isopoda and Tanaidacea in the collections of the Indian Museum. Records of the Indian Museum, 37: 279-319. 21 figs. - Barnard, K.H. 1952. 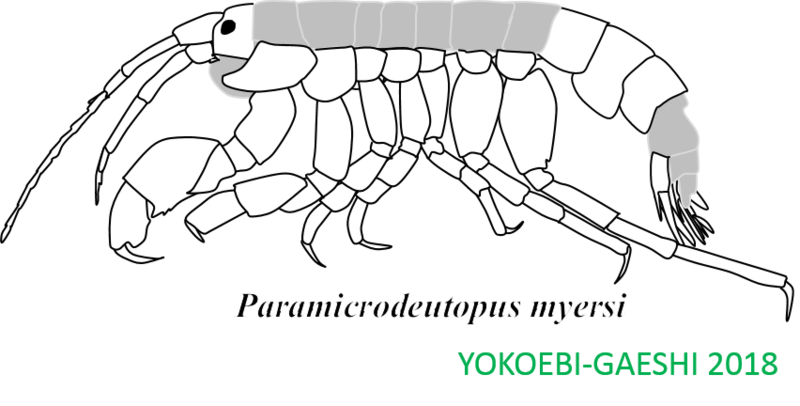 Description of a new species of amphipod. Transactions of the Royal Society of South Africa, 33: 279-282, 3 figs. - Barnard, K.H., 1955. 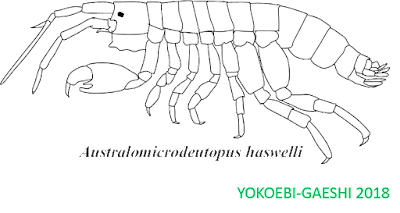 Additions to the fauna-list of South African Crustacea and Pycnogonida. Annals of the South African Museum, 43: 1-107, 53 figs. - Bochert, R., M. Zettler 2010. 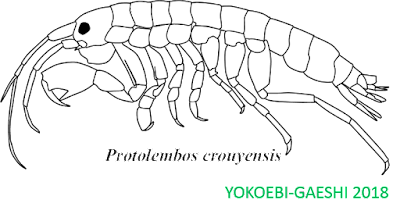 Grandidierella (Amphipoda, Aoridae) from Angola with description of a new species. Crustaceana, 83(10): 1209-1219. - Bonnier, J. 1896. Édriophthalmes. In: Koehler, R., Résultats scientifiques de la campagne du "Caudan" dans le Golfe de Gascogne. Edriophthalmes. Annales de l' Université de Lyon. 26: 527-689; pls. 28-40. - Bynum, K.H., R.S. Fox 1977. New and Noteworthy Amphipod Crustaceans from North Carolina, U. S. A. Chesapeake Science, 18(1): 1-33. - Chapman, J.W., J.A. Dorman 1975. 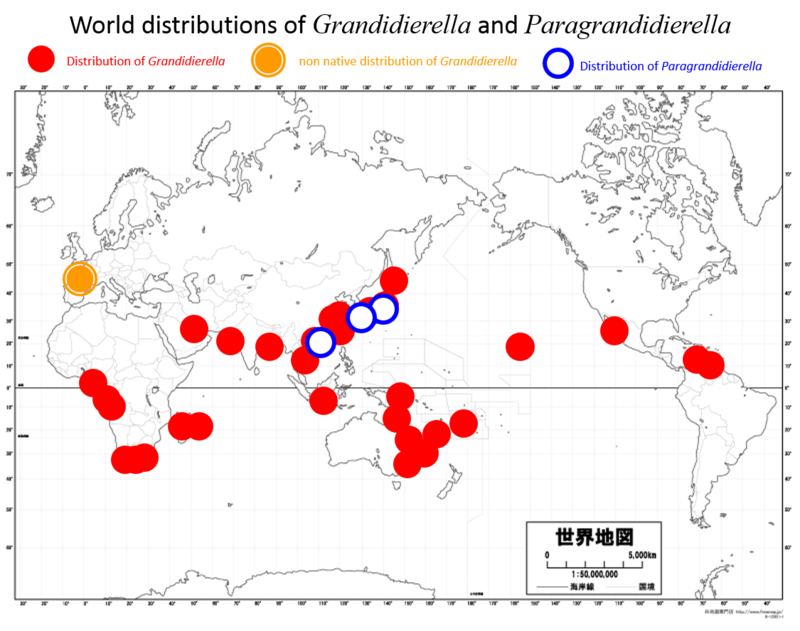 Diagnosis, systematics, and notes on Grandidierella japonica (Amphipoda: Gammaridea) and its introduction to the Pacific coast of the United States. Bulletin of the Southern California Academy of Sciences, 74:104–8. - Chapman, J.W. 2007. Gammaridea. In: Carlton, J.T. The Light and Smith Manual. Intertidal Invertebrates from Central California to Oregon, 4th Edition, Completely Revised and Expanded, University California Press, pp.545-618. 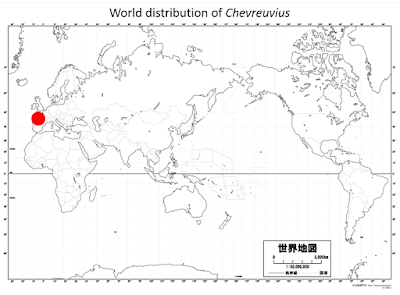 - Chevreux, E., 1911. Campagnes de la Melita. Les amphipodes d'Algerie et de Tunisie. Memoir de la Societe Zoologique de France, 23: 145-285, pls 6-20. Museum of Natural Sciences National Museums of Canada, Ottawa, pp.77-101. - Dang, N.T. 1968. 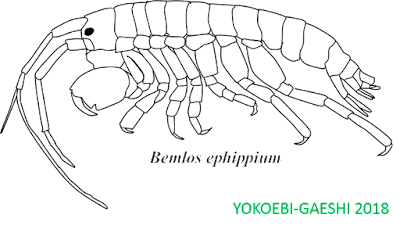 Новые бокоплавы (Amphipoda) пресных и солоноватых вод северного Вьетнама (= New Amphipods of fresh and brackish water in Northern Vietnam). Zoologicheskii Zhurnal, 47: 212-222, 4 figs. - Gable, M.F., E.A. Lazo-Wasem, A.J. Baldinger 2010. 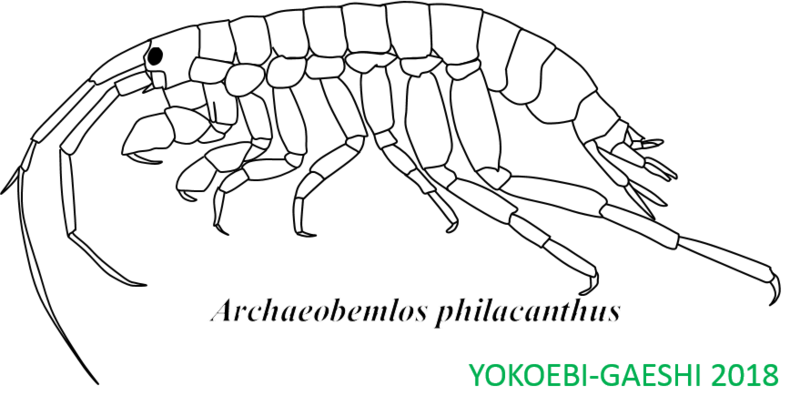 The Amphipoda of Bermuda - A century of taxonomy. Zoologica Baetica, 21: 131-141. - Griffiths, C.L., 1974a. 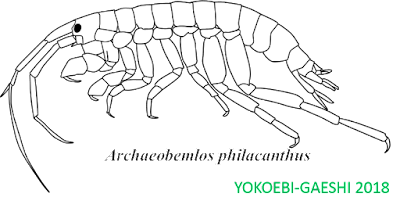 The Amphipoda of southem Africa Part 3. The Gammaridea and Caprellidea of Natal. Annals of the South African Museum, 62(7): 209-264, 8 figs. - Griffiths, C.L. 1974b. 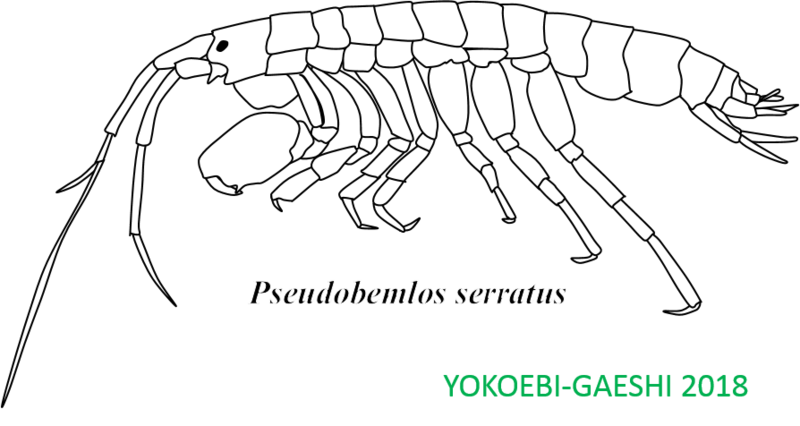 The Amphipoda of southem Africa Part 4. The Gammaridea and Caprellidea of the Cape Province east of Cape Agulhas. Annals of the South African Museum, 65: 251-336, 18 figs. - Hirayama, A. 1984. Taxonomic studies on the shallow water gammaridean Amphipoda of West Kyushu, Japan - II. 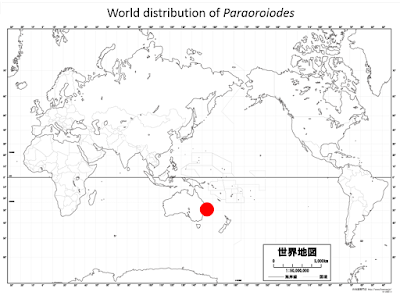 Corophiidae. Publications of The Seto Marine Biological Laboratory, 29(1/3): 1-92. - Hou, Z.-E., S.-Q. Li 2002. 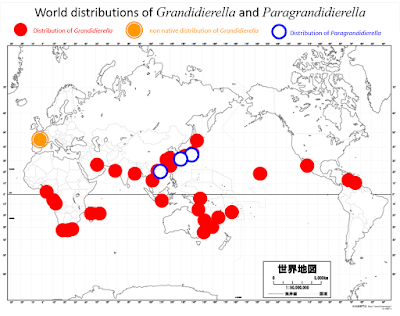 A new species of the genus Grandidierella from Lake Chaohu, China. Acta Zootaxonomica Sinica, 27(2): 225-234. - Jourde, J., P.-G. Sauriau, S. Guenneteau, E. Caillot 2013. 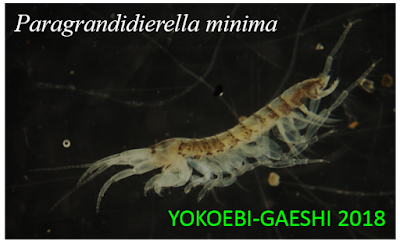 First record of Grandidierella japonica Stephensen, 1938 (Amphipoda: Aoridae) from mainland Europe. BioInvasions Records, 2(1): 51–55. - Krapp-Schickel, T., A.A. Myers 2006. 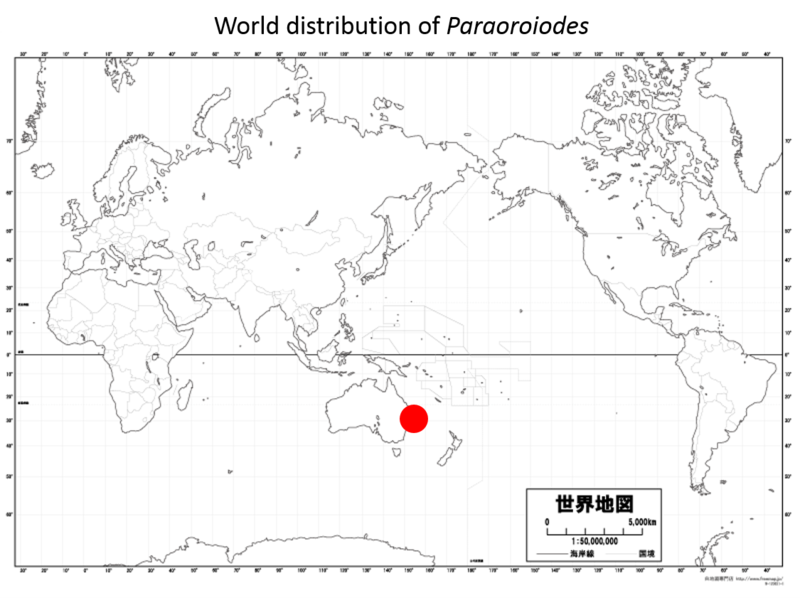 New and little known Aoridae, Corophiidae, Kamakidae, Photidae and Unciolidae (Crustacea: Amphipoda) from the Indo-Pacific. Journal of the Marine Biological Association of the United Kingdom, 86: 1083-1096. - Kunkel, B.W., 1910. The Amphipoda of Bermuda. Transactions of the Connecticut Academy of Arts and Sciences, 16: 1-116, 43 figs. - Ledoyer, M. 1967. 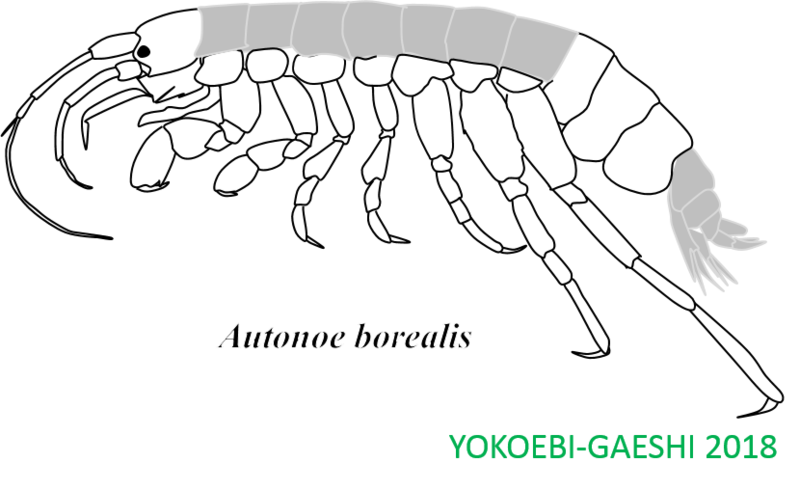 Amphipodes gammariens des herbiers; de phanerogames marines de la région de Tuléar (République Malgache) étude systématique et écologique. Annales de la Faculte des Sciences de l'Universite de Madagascar, 5: 121-170, 30 figs. - Ledoyer, M. 1979a. Les gammariens de la pente externe du grand recif de Tulear (Madagascar) (Crustacea Amphipoda). Memorie del Museo Civico di Storia Naturale di Verona, series 2, Sezione Scienze della Vita, N. 2: 1-150, 91 figs. - Ledoyer, M. 1979b. Expédition Rumphius II (1975) Crustacés parasites, commensaux, etc. (Th. Monod et R. Serène, éd.) VI. Crustacés Amphipodes Gammariens. Bull. Mus. natn. Hist. Nat., Paris, 4e sér., 1, section A, no. 1: 137-181. - Lyons, J., A. A. Myers 1990. Amphipoda Gammaridea from coral rubble in the Gulf of Aqaba, Red Sea: Families Acanthonotozomatidae, Ampeliscidae, Ampithoidae, Anamixidae, Aoridae and Colomastigidae. Journal of Natural History, 24: 1197-1225. - Mateus, A., E. Mateus 1966. Amphipodes littoraux de principe et de São tomé. Annales de L’Institut Océanographique, 44: 173-198. 13 figs. - Moore, P.G. 1986. A new species in the genus Grandidierella Coutiere (Crustacea: Amphipoda) from an Australian solar salt-works. Journal of Natural History, 20: 1393-1399. - Moore, P.G. 1988. Taxonomic observations on the genera Xenocheira Haswell and Ericthonius Milne Edwards (Crustaeea: Amphipoda) from Australian coastal waters. Journal of Natural History, 22: 705-732. - Morino, H., A.-y. Dai 1990. Three amphipod species (Crustacea) from East China. Publication of Itako Hydrobiological Station, 4: 7-27. - Munari, C., N. Bocchi, M. Mistri 2016. 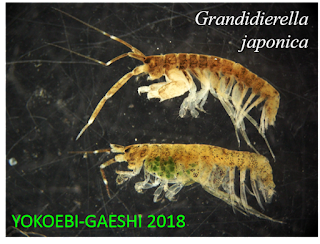 Grandidierella japonica (Amphipoda: Aoridae): a non-indigenous species in a Po delta lagoon of the northern Adriatic (Mediterranean Sea). Marine Biodiversity Records, 9:12. - Myers, A.A. 1968. Some Aoridae (Amphipoda: Gammaridea) collected by the Hancock Expeditions to the eastern Pacific, 1931-1941. Pacific Science, 22:497-506, 6 figs. - Myers, A.A. 1969. 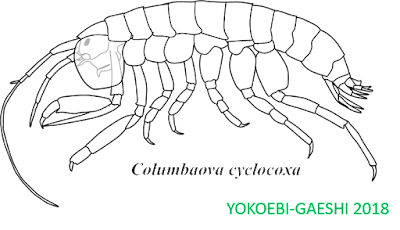 Revision of the amphipod genus Microdeutopus Costa (Gammaridea: Aoridae). Bulletin of the British Museum (Natural History) Zoology, 17(4). 6-148. - Myers, A.A. 1970. 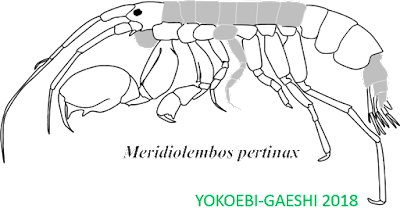 Taxonomic studies on the genus Grandidierella Coutière (Crustacea: Amphipoda), with a description of G. dentimera, sp. nov. Reprinted from Bulletin of Marine Sciesce, 20(1): 135-147. - Myers, A.A. 1972. 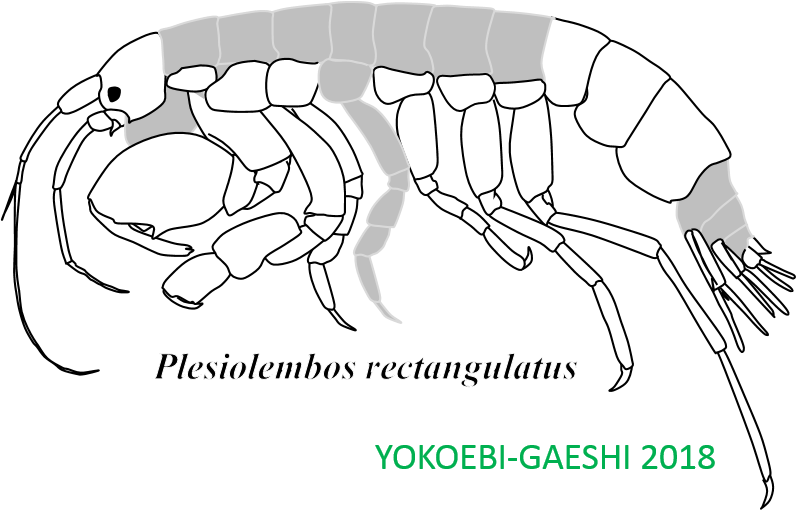 A new species of Amphipod (Microdeutopus obtusatus sp. nov.) from the Aegean sea. Bolletino del Museo Civico di Storia Naturale, Verona, 20: 303-312, 7 figg. - Myers, A.A. 1975a. Studies on the genus Lembos Bate II. 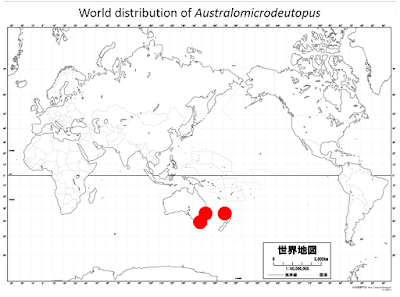 Indo-Pacific species: L. quadrimanus Sivaprakasam, L. punctatus sp. nov., L. parahastatus sp. nov., L. palmatus (Ledoyer). Bolletino del Museo Civico di Storia Naturale, Verona, 1: 359-395, 28 figs. - Myers, A.A. 1975b. 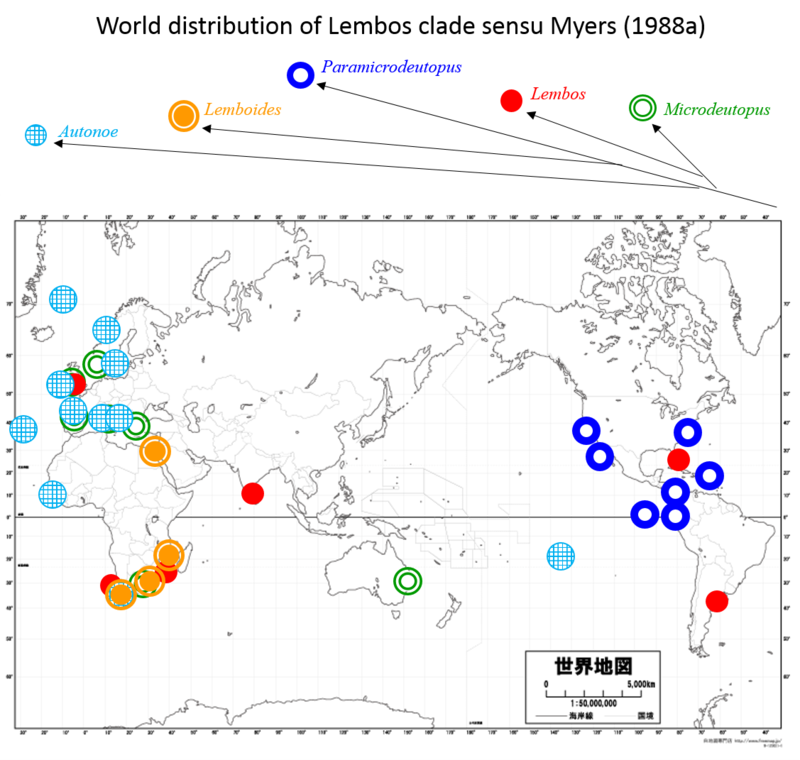 Studies on the genus Lembos Bate III. Indo-Pacific species: L.kidoli sp. nov., L. ruifoi sp. nov., L. excavatus sp. nov., L. leptocheirus Walker. Bolletino del Museo Civico di Storia Naturale, Verona, 2: 13-50, 29 figs. - Myers, A.A. 1977a. Studies on the genus Lembos Bate V. Atlantic species: L. smithi (Holmes), L. brunneomaculatus sp. nov., L. minimus sp. nov., L. unifasciatus sp. nov. Bolletino del Museo Civico di Storia Naturale, Verona, 4: 95-124, 21 figs. - Myers, A.A., 1977b. Two new species of the amphipod genus Microdeutopus Costa from the Mediterranean Sea. Bolletino del Museo Civico di Storia Naturale, Verona, 4: 475-478, 2 figs. - Myers, A.A. 1977c. Studies on the genus Lembos Bate VI. Atlantic species: L. dentischium sp. nov., L. kunkelae sp. nov., L. rectangulatus sp. nov., L. unicornis Bynum & Fox. Bolletino del Museo Civico di Storia Naturale, Verona, 4: 125-154, 20 figs. - Myers, A.A. 1978. 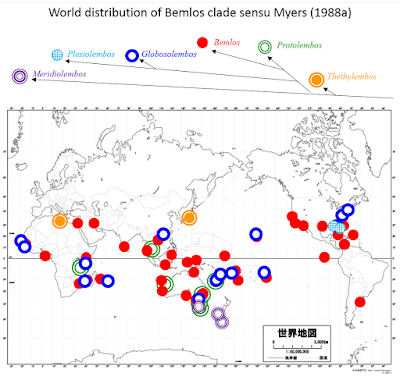 Studies on the genus Lembos Bate VII. Atlantic species 4. L. setosus sp. nov., L. brunneomaculatus Myers ssp. longicornis nov. and ssp. mackinneyi nov., L. foresti Mateus & Mateus, L. longicarpus sp. nov. Bolletino del Museo Civico di Storia Naturale, Verona, 5: 183-209, 18 figs. - Myers, A.A. 1979. Studies on the genus Lembos Bate VIII. Atlantic species 5. L. tigrinus sp. nov., L. tempus sp. nov., L. spinicarpus (Pearse) comb. nov. with ssp inermis nov., L. ovalipes sp. nov., L. unifasciatus Myers ssp reductus nov. Bolletino del Museo Civico di Storia Naturale, Verona, 6: 221-248, 16 figs. - Myers, A.A. 1981a. 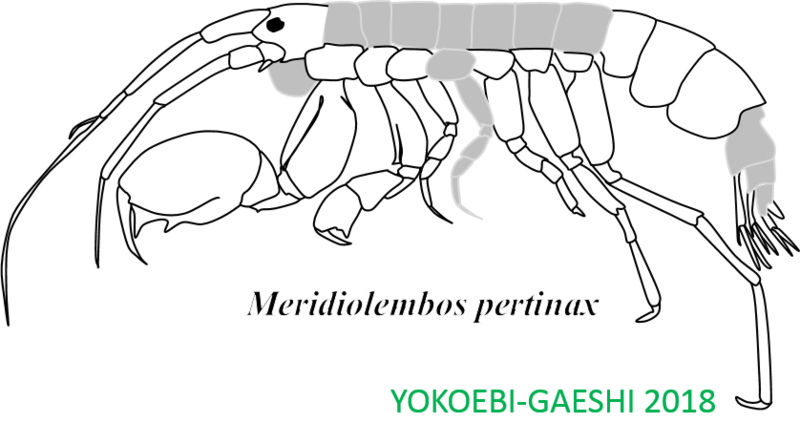 Taxonomic studies on the genus Grandidierella Coutière (Crustacea, Amphipoda) III. Fijian, Australian and Saudi Arabian species. Bull. Mus. natn. Hist, nat., Paris, 4e sér., 3, section A, no.1 : 213-226. - Myers, A.A. 1981b. 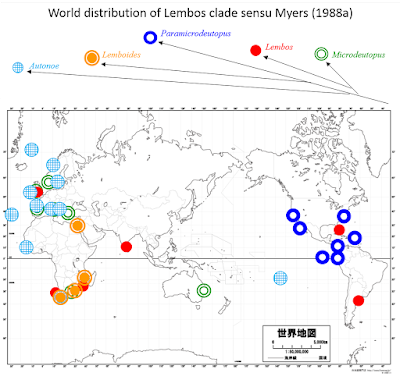 Studies on the genus Lembos Bate Antiboreal species. L. pertinax sp. nov., L. acherontis sp. nov., L. hippocrenes sp. nov., L. chiltoni sp. nov. Bollettig del Museo Civico di Storia Naturale, 8: 85-118 figs 203-219. - Myers, A.A. 1985a. Studies on The genus Lembos Bate XI Globosolembos sub-gen. nov. L. (G.) francanni Reid, L. (G.) indicus Ledoyer, L. (G.) ovatus sp. nov., L. (G.) tiafaui sp. nov., L. (G.) excauatus Myers. Bolletino del Museo Civico di Storia Naturale, Verona, 10: 341-367, 16 figs. - Myers, A.A. 1985b. Shallow-water, Coral Reef and Mangrove Amphipoda (Gammaridea) of Fiji. Records of the Australian Museum, Supplement 5. 1-143. ISSN 0812.7387. ISBN 0 7305 1441 2. - Myers, A.A. 1988a. A cladistics and biogeographic analysis of the Aorinae Subfamily nov. Crustaceana. Supplement No. 13, Studies on Amphipoda (Proceedings of the VIth International Colloquium on Amphipod Crustaceans, Ambleteuse, France, 28 : 167-192. - Myers, A.A. 1988b. 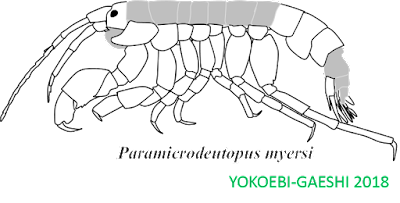 The genera Archaeobemlos n. gen., Bemlos Shoemaker, Protolembos Myers and Globosolembos Myers (Amphipoda, Aoridae, Aorinae) from Australia. Records of the Australian Museum, 40(5): 265-332. - Myers, A.A. 1998a. New and little known Corophioidea (Amphipoda: Gammaridea) from Faroese and Icelandic waters. Journal of the Marine Biological Association of the United Kingdom, 78(1): 211-222. - Myers, A.A. 1998b. The Amphipoda (Crustacea) of New Caledonia: Aoridae. Records of the Australian Museum, 50(2): 187–210. - Myers, A.A. 2002. Marine amphipods of the Families Aoridae and Neomegamphopidae from Phuket, Thailand. Phuket Marine Biological Center Special Publication, 23(1): 213-228. - Myers, A.A. 2004. 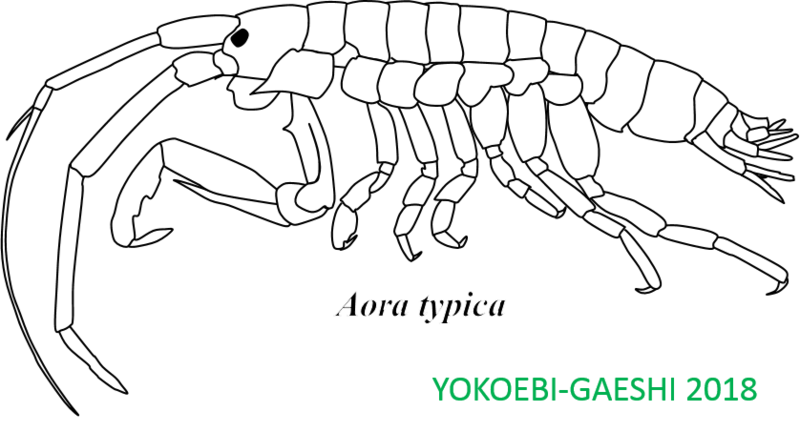 Amphipoda (Crustacea) of the family Aoridae (Corophiidea) from Rodrigues, Indian Ocean. Journal of Natural History, 38: 3123–3135. - Myers, A., W. Plaiti、M. Rousou 2018. A new species of Microdeutopus, M. periergos sp. nov. (Crustacea, Amphipoda, Senticaudata, Aoridae) from Cyprus (East Mediterranean Sea). Zootaxa, 4378(1). - Ortiz, M., R. Lalana 1997. Amphipoda. Results of the Zoological Expedition organised by "Grigore Antipa" Museum in the Indonesian Archipelago (1991). Travaux du Museum d'Histoire Naturelle ≪Grigore Antipa≫. 38: 29-113. - Ortiz, M., R. Lalana 2002. 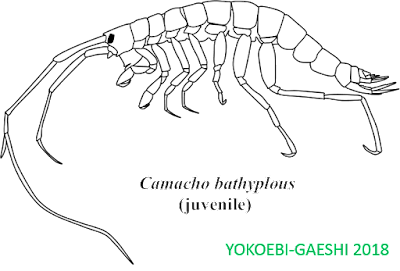 Una nueva especie de anfípodo del género Bemlos (Amphipoda, Gammaridea, Aoridae), del Archipiélago Cubano. Revista de Investigaciones Marinas, 23(1): 69-76. - Ortiz, M., R. Lalana, M. López 1992. Nueva especie de anfípodo del Género Bemlos (Gammaridea, Corophiida, Corophiidae), de Cuba. Anales del Instituto de Ciencias Marinas y Limnología, Universidad Nacional Autónoma de Mexico, 19: 163-166. - Ortiz, M., J. Nazábal 1984. A new amphipod crustacean of the genus Lembos (Gammaridea, Aoridae) from the Cuban marine waters. Travaux lu Museum d'Histoire Naturelle Grigore Antipa, 26: 11-13, 1 fig. - Pearse, A.S. 1912. Notes on certain amphipods from the gulf of Mexico, with descriptions of new genera and new species. Proceedings of the United States National Museum, 43(1936): 369-379, 8 figs. - Reid, D.M. 1951. 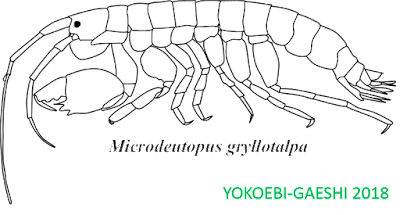 Report on the Amphipoda (Gammaridea and Caprellidea) of the Coast of Tropical West Africa. Atlantide Report, 2: 189-291, 58 figs. - Ren, X. 2006. Fauna Sinica. Invertebrata Vol. 41 Crustacea Amphipoda Gammaridea (I). Editorial Committee of Fauna Sinica, Chinese Academy of Sciences. - Schellenberg, A. 1936. 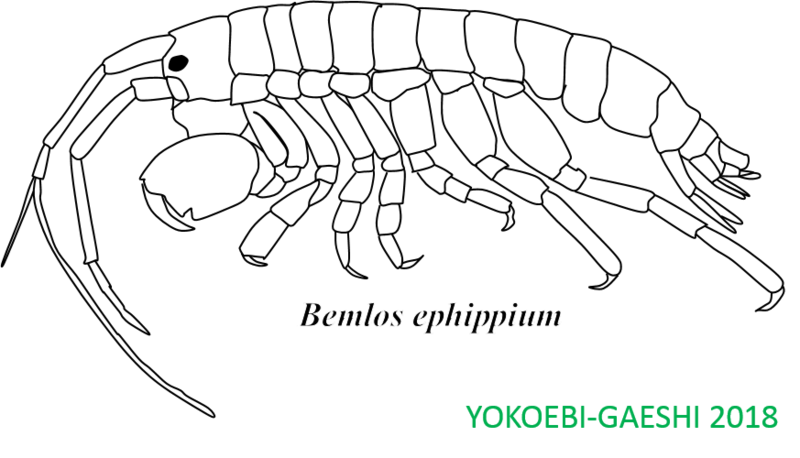 Zwei neue Amphipoden des Stillen Ozeans und zwei Berichtigungen. Zoologischer Anzeiger, 116: 153-156, 1 fig. - Schellenberg, A. 1938. Litorale amphipoden des tropischen Pazifiks. Kunglia Svenska Vetenskapsakademiens Handllngar, (3)16(6): 105 pp., 48 figs. - Shoemaker, C.R. 1925. Article II. – The Amphipoda collected by The United States Fisheries Steamer ‘Albatross’ in 1911, Chiefly in The Gulf of California. 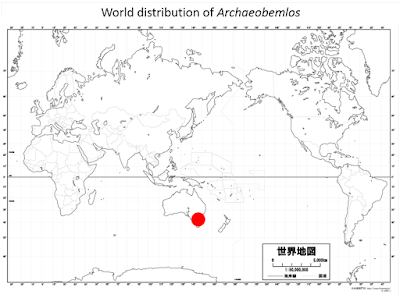 Bulletin of the American Museum of Natural History, 52: 21-61, 26 figs. - Sivaprakasam, T.E. 1970. 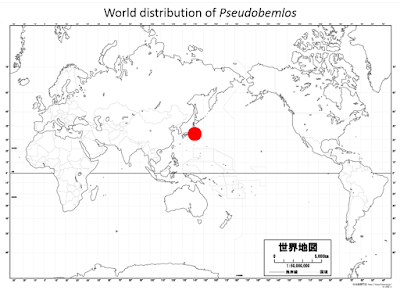 Amphipods of The genus Lembos Bate from The South-East coast of India. Journal of the Marine Biological Association of India, 12(1 & 2): 81-92. - Spence Bate, C. 1857. 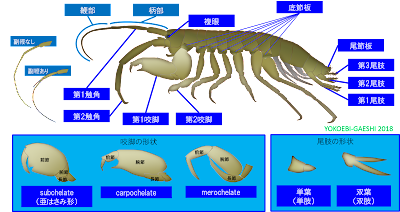 A synopsis of the British edriophthalmous Crustacea. Annals and Magazine of Natural History, series 2, 19: 135-152, 2 figs. - Stebbing, T.R.R. 1888. Report on the Amphipoda collected by H.M.S. Challenger during the years 1873-76. Report on the Scientific Results of the Voyage of H.M.S. Challenger During the Years 1873-1876, Zoology 29: xxiv + 1737 pp., 210 pls. London: Eyre and Spottiswoodie. - Stebbing. T.R.R. 1895. Notes on Amphipoda, old and new. Annals and Magazine of Natural History, series 6, 16 205-213, pls. 7-10. - Stebbing, T.R.R. 1908. South African Crustacea (Part IV). Annals of the South African Museum, 6: 1-96, 40 pls. - Stephensen, K. 1938. Grandidierella japonica n. sp. A new amphipod with stridulating (?) organs from brackish water in Japan. Annotationes Zoologicæ Japnonenses, 17(2): 179-183. - Stephensen, K. 1948. Amphipods from Curaçao, Bonaire, Aruba and Margarita. 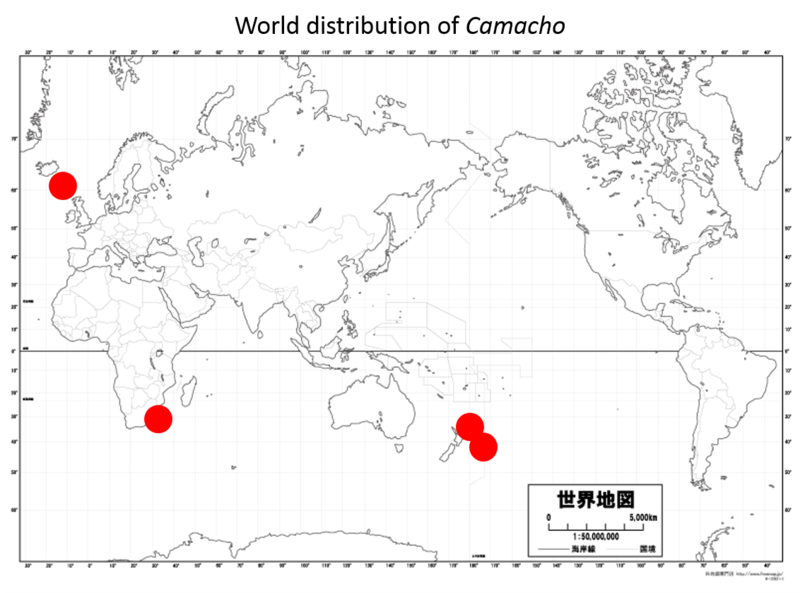 Studies on the Fauna of Curaçao, Aruba, Bonaire and the Venezuelan Islands: No. 11. Studies on the Fauna of Curacao III. 1-20. - Stout, V.R. 1913. Studies in Laguna Amphipoda. II. Zoologische Jahrbucher, 34 Abt. f. Syst. : 633-659. 3 figures. - Vader, W., T. Krapp 2005. Crab-associated amphipods from the Falkland Islands (Crustacea, Peracarida). Journal of Natural History, 39(33): 3075–3. - Walker, A.O. 1904. Report on the Amphipoda collected by Professor Herdman, at Ceylon, in 1902. Report to the Government of Ceylon on the Pearl Oyster Fisheries of the Gulf of Manaar, Supplementary Report, 17: 229-300, 8 pls. - Walker, A.O. 1909. Amphipoda Gammaridea from the Indian Ocean, British East Africa, and the Red Sea. Transactions of the Linnean Society of London, series 2, Zoology 12: 323-344, pls. 42, 43. - Wongkamhaeng, K., C.O. Coleman, P. Pholpunthin 2013. Three new species from the Aoridae and Maeridae (Crustacea, Amphipoda) from Thai Waters. Zootaxa, 3693(4): 503–533. - Wongkamhaeng, K., P. Pholpunthin, B.A.R. Azman 2012. Grandidierella halophilus a new species of the family Aoridae (Crustacea: Amphipoda) from the saltpans of The Inner Gulf of Thailand. The Raffles Bulletin of Zoology, 60(2): 433-447. - Yokoyama, H., Y. Ishihi 2007. Variation in food sources of the macrobenthos along a land – sea transect: a stable isotope study. Marine Ecology Progress Series, 346: 127–141.